It is my joy to serve. It is also my joy to educate and help others to prosper in their lives. Every day is a chance to learn and pay it forward --- may this resource blog serve you and your health. About the avocado nutrition, this fruit has become the most favorite fruits that have lots of vitamins and energy. The avocado has the no 2 highest number of monounsaturated fatty acids after OLIVE OIL. 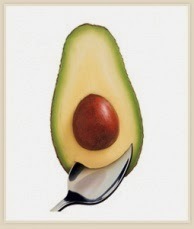 With more than 20 % from the total number avocado nutrition become the most complete for children growth after the olive oil, and this amount of avocado nutrition we can say that this fruit become the important fruit that give you lots of nutrition. For many years avocados is believe that its has large amount of fat which make people who doing on weight reducing programs often stay away from this fruits, but one thing that they don’t know that those sentence are totally myth, in fact the all nutrition and monounsaturated fats that contain in the fruits help you to increase basal metabolic rate which can help people reduce their appetite that prevent them from over eating. The other avocado nutrition that gives your body mineral supply is the potassium, as we know that banana has large amount of potassium, but in avocado you can find larger amount of potassium which is 3 times more, and another mineral that will be used for blood development, iron, phosphorus and magnesium. Avocados also categories an ideal fruit for diabetic people and can treat hypoglycemic. Even though you can treat for hypoglycemic, this fruits categorized as low glucose fruits therefore you can use it for diabetic people and patients. Last but not least, avocados has lots of vitamin which not only useful for the body but also useful for the skin, because avocados are rich in vitamin E which can make your skin younger if you use it regularly. Not forget to mention that the vitamin B and the other vitamins that will help you take care of your skin and hair. So what are you waiting for? Eat your avocados now and feel the nutrition!